David specialises in creating practical solutions for clients in all areas of employment law and he has extensive experience and particular expertise advising on TUPE, reorganisations, restrictive covenants and executive terminations. David qualified as a solicitor in 1996 and has practised as an employment lawyer ever since. From 2000 to 2012, David worked for Boyes Turner solicitors and during this time the employment team there grew from 4 to 19 people and its turnover increased by more than 650%. David became a partner at Boyes Turner in 2004 and was elected to its management committee in 2011. David works for employers such as Crew Clothing, Danwood, Dun and Bradstreet, DX, Euphorium Bakery and Standard and Poors. He is also instructed by a number of law firms and lawyers, as well as employees from all the major city banks and a number of sports and media professionals. In 2012, David decided to leave Boyes Turner to set up Draper Lang LLP with the aim of building a truly bespoke, flexible and innovative employment law firm for both employer and employee clients. David was first recognised in the legal directories in 2005, when he was described as "a man at the top of his game". 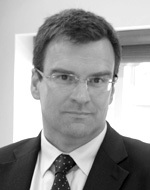 Recommended in Chambers 2013 - "David Blomfield joined Draper Lang LLP from Boyes Turner. He is described as a "sharp operator" within the team. He has been applauded for his "business-minded" approach to employment law." In the Chambers Directory 2016 he was described as skilled in all aspects of employment law, particularly high-level terminations, restrictive covenants and TUPE matter. Peers report that he is "very sensible and easy to work with and against - he fights his client's corner but gets the deal done". In the Legal 500 2015 - "David Blomfield at specialist employment firm Draper Lang LLP combines experience and gravitas to provide first-class advice”. "David Blomfield is an outstanding lawyer, who has supported myself and my last two employers for over 16 years. David works like a pure extension to our team, it's refreshing and invaluable. He immersed himself in the complex structure of our business and also the language of our industry which has made his advice exacting. David is a true professional in his field as well as being sharp and astute when it really matters, fast paced but never at the expense of quality. He embraces every issue with refreshed enthusiasm." “His service is excellent, immediate and always commercial with a view of our business not just our legal needs." "His advice is pragmatic, commercially focused and constructive and we value the fact that he raises alternative solutions. The service we receive is excellent, and he is always able to give us the time that we require." "What is great about David is his reassuring legal knowledge combined with his collaborative nature. One instantly feels one has a friend who will fight your corner, who just happens to be a legal expert as well."